HBO documentary "sorts through McCain’s life — and his mistakes"
HBO's new documentary on John McCain ("For Whom the Bell Tolls," premiering 8 tonight) "is a thorough and intriguing celebration of the Arizona senator’s life, with many of his political peers and opponents describing McCain’s career of service," The Arizona Republic's Bill Goodykoontz writes. The big picture: "The filmmakers spent hours with McCain both in his Sedona home and in Washington, D.C. 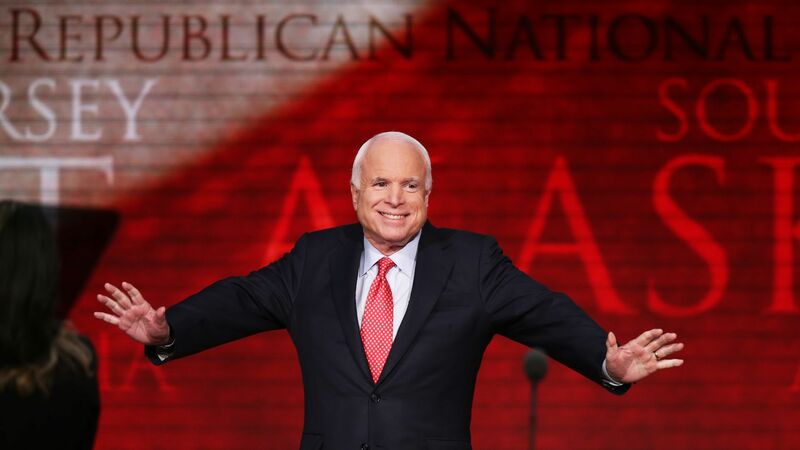 There are testimonials from his family, as well as personal and political friends and enemies..."
"In fact, the latter part of the film is given over mostly to just that, laudatory musings about McCain, of which he is certainly deserving." But the rest of the film sorts through McCain’s life — and his mistakes, of which he acknowledges many." "That’s far more interesting, and makes McCain far more human." An astonishing 49 senators turned out for a Capitol Hill screening hosted by Richard Plepler, HBO chairman and CEO (and former Senate aide to Chris Dodd). McCain’s entire office staff attended and the entire Armed Services Committee was there, along with many former staff members. House members and many McCain family members joined, along with Frank Gamboa, McCain’s roommate at the Naval Academy.